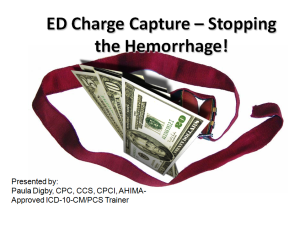 ED Charge Capture –Stopping the Hemorrhage! In this session we look closely at the Emergency Department of PPS hospitals to expose the revenue drain that so often exists there. The most common errors are discussed as well as best practices for containing the risk.